Superhero costumes are awesome. Every kid loves dressing up as their favorite man in tights, whether it's Superman, Batman, Wolverine, Captain America, Iron Man- You know what, we can't actually list all the superheroes because there are literally hundreds of them. Suffice to say, kids love superheroes. But wearing the superhero costume is only half the battle. Nothing detracts from a good costume like when people just wear their ordinary, boring old shoes to go with it. What about your feet? Those need to be costumed too! And now they can be. 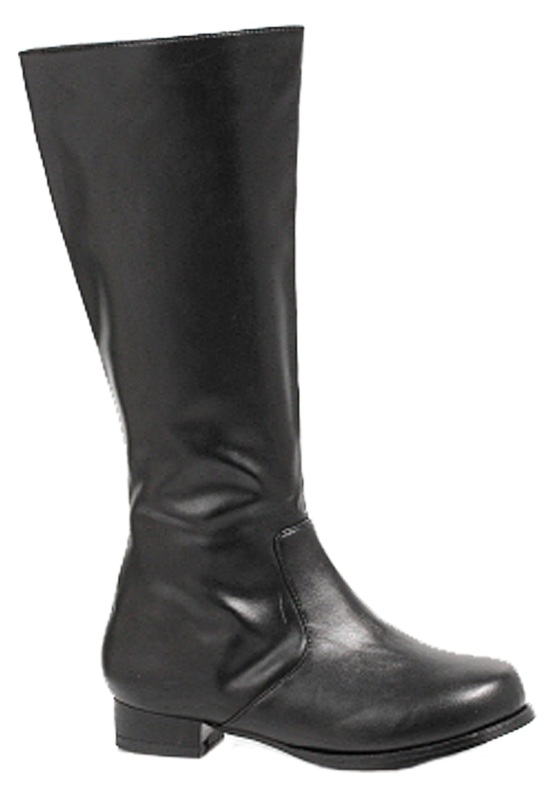 These black boots are perfect for not just costumes, but plenty of other occasions as well. Maybe you're in a school play as a military officer. Whether you're dressing up as the dark knight or out for a horse riding lesson or you just want to look snappy as you pretend to be a polished soldier, these boots will take your outfit from mediocre to magnificent!